"Jim was easy to communicate with and listened to our needs." Established in 2002, we are proud of our reputation for providing high quality general contracting services in Northern Idaho and Eastern Washington. Our mission is living up to our company name—by delivering quality construction in a timely and professional manner, all while providing exceptional customer service with a personal touch. We specialize in custom home building, log home kits and log hybrid homes and can see your project through from excavation to finish work. Contact us for a personal consultation and free estimate. We look forward to making your home building experience a pleasant one. 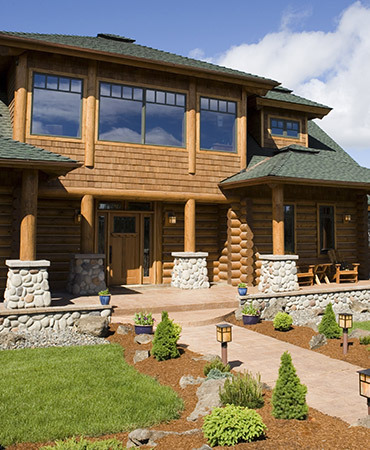 Dependable Contracting is your local Lodge Logs dealer, a top manufacturer of log cabin home kits. We specialize in log and log hybrid homes, combining building techniques to deliver the best of both worlds. When you have a vision, we work with you every step of the way to make your dream a reality. We are equipped to meet all your home building needs, from dirt work to turn key. 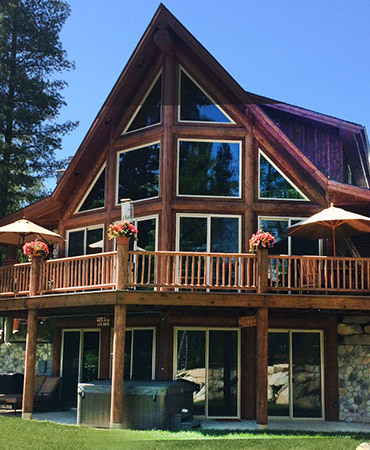 We are a dealer for Lodge Logs of Boise but are capable of building any brand of log home. We explore many options to help our clients receive their best value while keeping within budget. 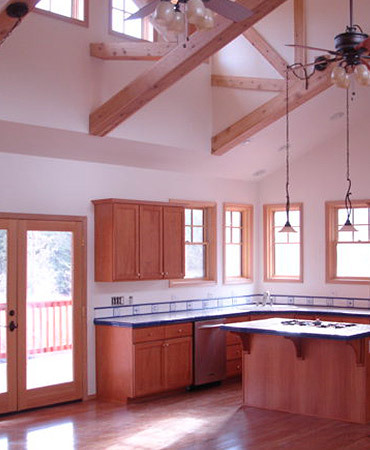 We offer a 10 year structural warranty for homes with an engineered set of blueprints. We work hard all year long on numerous projects, large and small. We choose to remain a small volume home builder so we can give our full attention to your project. This current home is the third that we have built and Jim was the best of our different contractors. We chose Jim because he was the easiest to communicate with, listened to our needs and gave us solutions and recommendations to make our dream come true. Our home was built on time, and on budget! Jim communicated often and regularly through out the project. Jim’s attention to detail and craftsmanship is refreshing. Thank you, Jim, for giving us a great experience. During the entire construction process, we really appreciated Jim’s attention to budget details. He had great ideas about options to keep the price in line. We now have a cabin that our family will enjoy for years to come. We’re happy to provide you with a zero-obligation quote for your project.